eCommerce: 5 Aspects To Consider - Ashdown Technologies, Inc. The Internet is a great place to sell your products. But there are pitfalls to eCommerce awaiting the unwary. We will describe here how to identify and avoid them. The considerations when setting up an eCommerce store are not markedly different from those when setting up a bricks-and-mortar store. The issues to be faced are either the same, or have a direct parallel between those worlds. It’s tempting to think that an eCommerce site is simple, because everyone’s doing it, but without a full understanding of the issues involved, you may be headed towards failure. We will describe here some of the more important issues to consider and how best to approach them. It may sound obvious, but your product is the heart of your on-line store. So good research to ensure there is a market for your product is an essential step before considering trying to sell it on-line. This research will help you to formulate a plan for presenting your products in your eCommerce store, and develop the appropriate advertising campaign to drive customers to it. Do I Have Good Pictures Of It? In a bricks and mortar store your customers can see and touch the product before buying. In an on-line store you are at a disadvantage in this area. Therefore it’s vital that you display your products using high quality, well lit photographs. Make sure they are of high enough resolution to clearly show the product quality, and provide multiple views where appropriate. Also make sure that colors are accurately represented, where color is important. Have I Described It Accurately? Beyond the pictures, your customer will want to know the details. Make sure your descriptions are easy to read and unambiguous. Poorly written descriptions will lead to lost sales, or increased customer support requirements. If the product comes in various colors or sizes, make sure that the eCommerce software you use can handle that added complexity. The better software allows you to enter one product and then define all combinations of variants. You do not want to have to enter a separate product for every size and color of the beautiful dress you are selling! Do I Have The Product To Ship? When sales take off, it’s paramount that you ship promptly. Delayed or late shipments will negatively affect the reputation of your store in today’s world of instant gratification. So make sure that your Ecommerce solution can track your inventory. Good software will warn you when inventory is getting low, and clearly indicate that the item is sold out when stocks are exhausted. It’s better to let the buyer know up front the product availability, than to let her make a buying decision and then find out it is not available! There are, in the US at least, 2 main options. They both have advantages and disadvantages and most successful eCommerce sites offer both. There are some technical and emotional considerations that must be addressed. This is still the most popular payment method, although buyers are becoming increasingly sensitive to providing their credit card details on a site they don’t trust or know. To build this trust it is vital that your shopping cart be secure. It is also required that the server it is housed on is PCI compliant. To further build trust, the PCI compliance certificate should be prominently displayed on the site. You must also decide if your site is going to remember credit card data. Doing so streamlines the experience for returning customers, as their number is already on file. It also simplifies issuing credits on returns. However, storing credit cards significantly increases the PCI requirements of the hosting site, and mandates secure storage of this sensitive information. You can simplify your part in this by not having your site remember credit card data, and then require the buyer to re-enter it on each shopping-cart order. There are also business requirements to enable payment via credit card, including the setting up of a Merchant Account and a Credit Card Payment Gateway, to process the transactions. These organization charge fees for the services, with Merchant Accounts withholding 3.5% to 5% of each sale. This is an increasingly popular third party payment scheme that has several advantages over direct credit card acceptance. Probably the single most important aspect of PayPal is the level of comfort it provides to both the seller and the buyer. Buyer funds can be taken from their credit card, PayPal balance, or direct debit from their bank account, without the seller being given any information on any of them. PayPal handles the transaction and places the funds in the seller’s account on sale completion. Funds from the seller’s account can easily be transferred to his regular back account. In addition, the buyer (in the US at least) does not have to sign up for a PayPal account. Payment can be made by credit card without such an account. All major credit cards are accepted by PayPal. As a result of this, there are no PCI issues your eCommerce site must comply with, as all sensitive financial information is handled on the PayPal server. PayPal does levy a transaction fee, in the form of a small fixed transaction fee, plus a percentage of the sale (usually less than 3%), but these usually work out to be lower than the fees associated with direct credit card acceptance. There are many options when selecting a carrier to ship your product. By far the most popular are UPS, USPS and FedEx. Which will best suit your product will depend upon its nature. Talk to the representative from each of these organizations to see which will work best for you. Shipping is probably the single most complex issue to consider. Where Should I Ship To? International shipping adds a whole level of complexity, both in the determining of cost, and complying with the import restrictions of the destination country. Make sure you have done your research when determining your sales area, and then ensure your shopping-cart software can accommodate your decision. All the major shippers provide live on-line services for determining the cost of any given shipment. Of course, you will need to open an account with each shipper you intend to use. Most eCommerce software provides an automatic interface to these shippers to determine the cost of a shipment. The size, weight, source and destination are sent to the shipper, and they return a cost to be added to the buyer’s shopping-cart. Usually the shopping-cart can be set up to automatically add an additional fee for product handling. In addition, the buyer should be able to select the speed of shipment and the cost will automatically adjust for this. Any unusually large or heavy items will need special handling, so the eCommerce software must be able to handle this as well. All major shippers provide real time shipment tracking information. The eCommerce solution you select should be able to convey tracking code information to your customer so that they can track the package on the shipper’s site. Some eCommerce software packages provide direct tracking status right in your site. No matter how spectacular your shopping cart site is, it won’t get any shoppers if it’s tucked down some back alley of the Internet. Just like a bricks and mortar store, advertising your store and its products is vitally important. Making sure that your shopping-cart site is positioning well on search engines is paramount and will play a significant role in the success of your store. Getting a company involved early who specializes in SEO will make this go more smoothly. Your customers can be your best sales-persons! Keep them satisfied and make it easy for them to tell your friends about you. This means you should maintain a prominent position on social sites like FaceBook and Twitter. Inevitably your customer will want to return an item, so make sure you have made them fully aware of your return policy. Do you accept returns; are they for a cash refund or store credit only; how long after purchase is a return accepted; etc? Most eCommerce packages provide a means to buy gift cards and deliver them to the gift recipient. Usually this is optional. Similarly, you may want to offer discount codes to selected buyers, and so the eCommerce package you select should have this feature. Ashdown Technologies can guide you through the labyrinth of eCommerce issues. Give us a call now at 508-476-3200 or click this button. Here at Ashdown Technologies we know eCommerce and shopping-cart sites. We’ve been creating them for our customers for years and so know all the issues and pitfalls. For example, Holiday Inn Express trusts us to provide a private shopping cart site to enable them to order replacement parts for their breakfast room equipment. The site does a brisk daily business. You can trust us too. 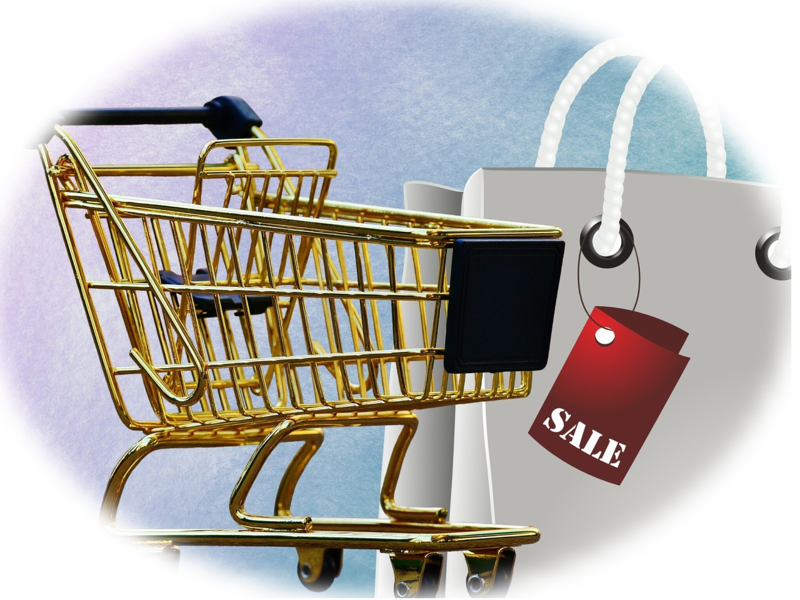 We will work closely with you to take all the above 5 aspects of shopping-carts into consideration in a way that flows smoothly and without headaches. We’ve done it for others and we can do it for you too! We stand ready to have a no-cost, no-obligation discussion on how an eCommerce site might help your products reach a wider audience. Give us a call now at 508-478-3200 or click the Contact Us button below.